WE FINANCE EVERYONE REGARDLESS OF CREDIT!! GUARANTEED CREDIT APPROVAL!! HABLAMOS ESPANOL!! ACEPTAMOS ITIN, MATRICULAS O PASAPORTES!! 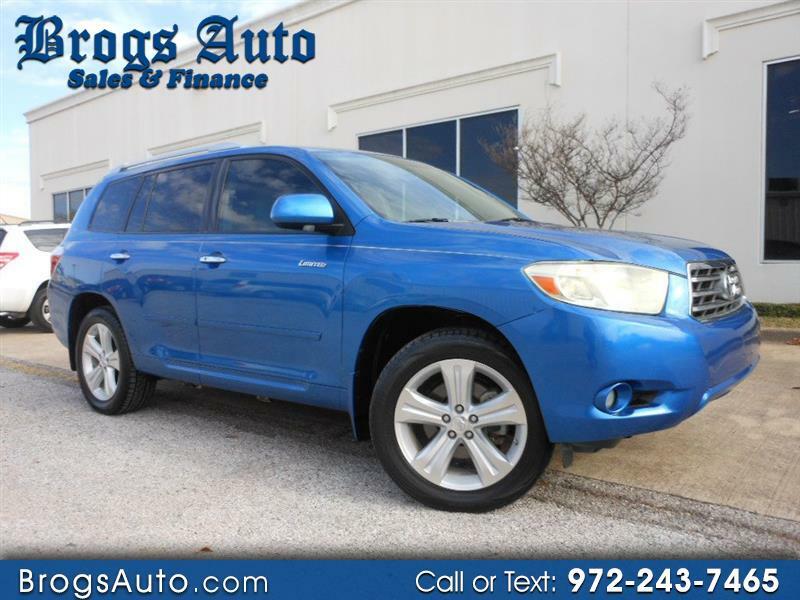 Beautiful 2008 Toyota Highlander Limited V6 3.5 Liters, Metallic Blue Exterior with Black Leather seats, Cruise Control, Tachometer, Power windows, Alloy Wheels, CARFAX CLEAN VEHICLE. Full airbag system, JBL sound system CD/AM/FM stereo, A/C Cold, beautifully kept. It drives and runs perfect. Oil service has been performed. See more pictures at www.brogsauto.com We take Visa, MasterCard, AMEX & Discover cards, bank drafts & cashier's checks also accepted, always taking trade-ins, all makes and years take the phone and call us now, visit Brogs Auto online at www.brogsauto.com to see more pictures of this vehicle or call us at 972-243-7465 today to schedule your test drive. Available 4 years/unlimited miles extended warranty available!! !